Passionate anglers know how tricky it can be getting the right gear and gadgets for their favorite pastime. But how to these people’s friends and family feel about their hobbies and what can they do to help? Since the right fishing gear can make all the difference when it comes to a person’s angling success, we’ve showcased some nice gifts you may want to consider if you’re trying to get the perfect present for a fisherman or woman. The PLUSINNO fishing tackle set is the complete answer to your fishing accessories requirements. It covers all your needs when it comes to a satisfying angling experience. It has everything in the same kit, so you won’t have to buy them separately: lures, weights, sinkers, hooks, jig heads, a line stopper, a tackle box, and a barrel swivel. All of these are packed and organized in categories in the same package. All the items are carefully selected so you can have a successful fishing session. The bait comes in a 3D design that mimics the real life thing and this way it will never let you down. Additionally, the box is included for storage and portability. High-quality fishing gear is hard to come by. And a complete solution for solving complex needs even more so. But this fishing backpack is that and a bit extra. The product has an integrated LED system for energy-efficient lighting which allows fishing even in low-light conditions. With the bottom tray compartment, you can safely store your bait and keep everything nicely organized. It also comes with a protective rain cover that ensures extra safety, and a built-in sunglass holder, and it provides a safe space for your glasses. The backpack will feel good on your back due to the adjustable padded shoulder straps for a convenient adjustment to your body type. This knife has a design that helps it win the hearts of a lot of customers. It has one of the most resistant and premium builds out there. The blade itself is ultra thin and flexible to give you total control of the knife. Moreover, it is coated with a unique substance that makes it non-sticky, so all the fillets fall without adhering to the blade. The knife comes with a specially designed handle for a firm grip and so as not to allow the product to slip from your hand. And the finishing touches give this product high-quality aesthetics, in particular, the brass ferrule. 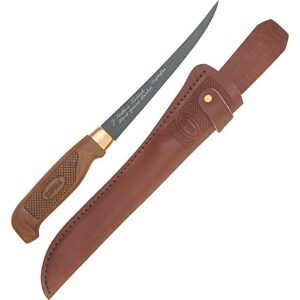 It also comes with a genuine leather sheath for safe storage. This product is unique and innovative at the same time. 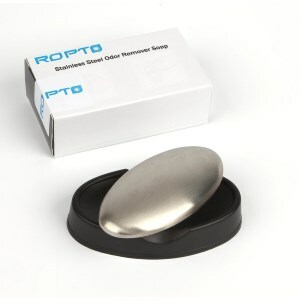 It looks like soap, but it’s made from quality stainless steel and is ideal for its intended purpose. The item can be used just like a regular soap bar to remove persistent bad smells like those of fish or smoking. Add some cold water and rub it in your hands for a few seconds and that’s it. All bad scents will be gone. It is efficient due to the negatively-charged stainless steel, the material that this the product was made from. It’s small and compact and can be taken everywhere it is needed. 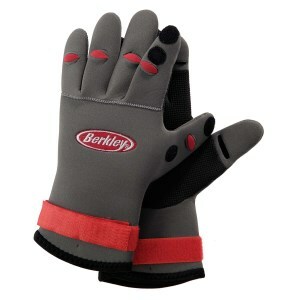 These gloves can be the perfect companions to any fishing sessions. The product looks good and delivers a premium experience. The construction is intended to offer a non-slip grip, in order or always catch your fish, even the ones who put up a fight. The gloves are made from heavy-duty materials that can manage the extended use and any weather. The material is sturdy, but it doesn’t sacrifice flexibility so you can move your hands with ease and make challenging moves with your fingers. And they will stay attached to your hands with the Velcro wrist closure, so you’ll be protected at any time. This product is for someone who wants to have all the basic needs covered. It’s a multi-tool for the precocious and for the ones who think ahead. The combination of features is ideal. It includes ten features some of which are: scissors, a corkscrew, saw blade, bottle opener, two screwdrivers, punch, and a knife blade. The body is eye-catching, too. It’s made of rosewood with a gloss coat and triple varnish finishes. If you want to give this product as a gift, you can even quickly and safely laser engrave it and customize it to your liking. And it’s small enough to fit in your pocket. Finding your catch is never easy. So why not make things a bit simpler by using this original product? It can connect to wireless, so you don’t have to worry about extra costs like it would be if it used cellular data. And since it’s compatible with most smartphones, connectivity will never be an issue. It is portable, small and easy to use and you’ll never want to leave your house without it. 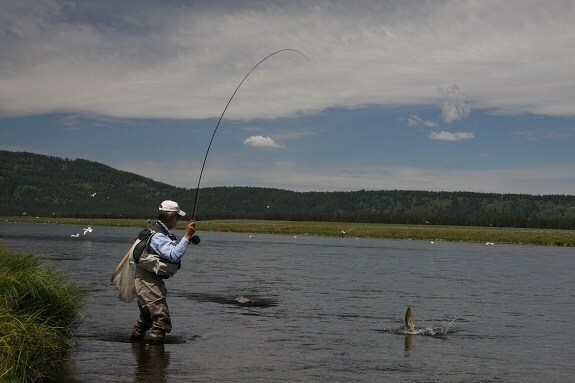 It fits any fishing styles no matter if we talk about float tube fishing or river fishing. It’s like your assistant, an excellent sonar to help you find out where the good catch is hiding. 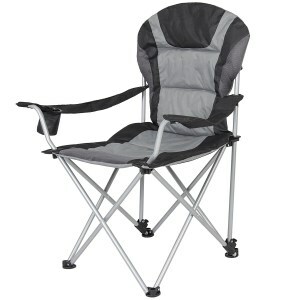 This polyester made chair is the best choice when it comes to a comfortable fishing experience. It is perfect for sitting on for hours and not hurting your back. And with the reclining function and the adjustable armrest, you can customize the product to fit your body. And you can stand on it safely knowing that the steel frame is designed to take any load and any weather conditions. The chair even comes with an insulated cup holder for your choice of drink, and it features a zippered pocket where you can deposit your phone or tablet. For safe and easy storage the product comes with a case. 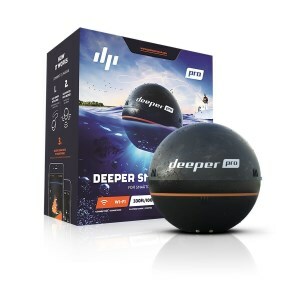 If you are the type that gets very relaxed when fishing and sometimes falls asleep, this is the product to wake you up when the fish bites. It’s efficient because the alarm doesn’t start with every move of the fishing line but with the one that is for sure a bite. So you won’t be startled by false alarms. 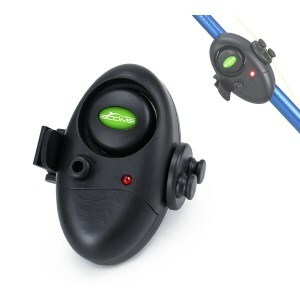 It even has a LED indicator ideal for nighttime fishing, when visibility is a problem. The buzzing device can help you manage multi-rods fishing, so you don’t waste any time finding the right one. And it’s so easy to install! Safety is not a joke, and it’s not something to be treated lightly. And this product is the best way to ensure you have your back covered. It’s perfect for both experienced swimmers and non-swimmers. The vest is specially designed to fit your body perfectly so you feel comfortable wearing it and it has vented channels, which is an innovative way of keeping your body cool while paddling. And the materials chosen, nylon ripstop and nylon oxford, are the perfect choice to make it comfortable and a pleasure to wear. For extra visibility and as an extra precaution it has SOLAS grade reflective material. There are numerous ways of relaxing, but most outdoor people prefer a good fishing trip, alone or with the closest friends or family members. Apart from the relaxing environment, individuals who like fishing will also recharge their batteries and even contribute to a delicious dinner by the fire. 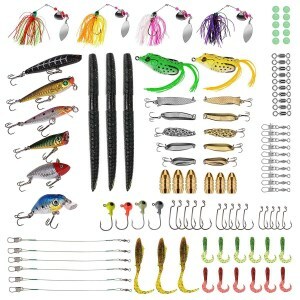 However, finding the coolest fishing gear items is not an easy job, especially if fishing is just a weekend hobby for you. The amount of free time left between work and your family duties often doesn’t allow you to think about hobbies, let alone search for new ways to improve your outdoor experiences. In order to make your fishing experience more pleasant, we came up with a comprehensive and, hopefully, a useful guide with everything you need to know before going fishing. We have studied the market for you and have some helpful tips regarding your future fishing gear shopping. Also, we took the liberty to make some suggestions regarding the coolest fishing gear items of the moment all that, so you can enjoy a relaxing weekend off, fishing and providing for you, your friends, or your family. Make fishing your number one hobby without having to spend extra time on searching for the perfect accessories! The fishing gear world is full of exciting and new items ready to be tried one afternoon at the lake. However, since there are so many, sometimes it is hard to keep track of what you really need to make your fishing trip an even better experience. We suggest you stick to a plan and don’t spend too much on items you may never end up using more than a couple of times. We came up with a list of suggestions and shopping tips to make your shopping experience more pleasant, so here is what we think you should consider. Only spending an afternoon fishing down the lake does not equate with having a full weekend with your fishing gear. Thus, preparing for the exact amount of time you will be spending on water is crucial. First of all, because you will be packing differently. Obviously, you will have to prepare accordingly for a full weekend or week spent fishing, and you will be requiring a lot of extra tools. On the other hand, if you are only thinking about spending a couple of hours, going light is a perfect way. This roughly translates to the size of the boat you are going to use. An inflatable pontoon boat is perfect for a day spent on the lake without too much fuss. It is large enough to store all your essentials, but you will have to go alone. The good news is that most pontoon boats are easy to carry around, store, and offer loads of extra space for everything you could consider bringing with you. On the other hand, most pontoon boats will only suit one person so forget about bringing your friends with you. On the contrary, if you intend to have a nice fishing trip with your friends, we suggest you opt for a simple inflatable raft. These can room up to four adults and have enough storage to place all your fishing tools and still sit comfortably. These boats are durable and reliable, meaning you will enjoy using them for a full weekend of fun with the boys. Another very important aspect to look at when shopping for the coolest fishing gear items is knowing how to store them properly. No matter if you decide to go alone or with your friends, you will probably require a lot of room for all your other fishing accessories, including baits, tackles and more. In fact, you don’t only need a place to store them, but also a place to keep them away from the water. Going fishing and not taking into account the possibility of getting wet is the silliest mistake you could make. Thus, the first thing you need to make sure of is to have a dry place to store all your fishing accessories and extras. We suggest you opt for a dry bag sack with a full waterproof floating design. These bags are specially designed to keep away moisture and water from penetrating while still being extremely lightweight and easy to carry around. 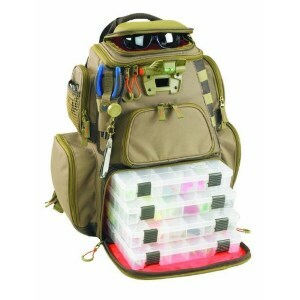 The bag will keep all your baits and fishing tools safe, including your sensitive electronics. If you cannot keep away from your phone or music device, but you’re afraid of ruining them if you fall into the water than this bag is definitely a good investment. You can take it anywhere with you and store all your precious electronic devices safely. The bag is waterproof, scratch resistant and dustproof and comes with a secure lock seal to avoid easy opening. 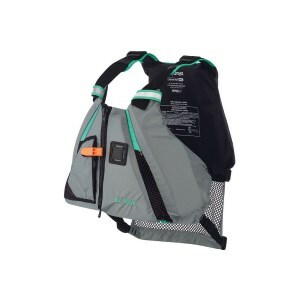 Believe it or not, a sports shoulder bag specifically designed for fishermen and women would make a great addition to your fishing gear items. It was specifically designed to keep your tackles and baits at one place while still providing you easy access to all fishing materials you need to use. It is made from a strong and durable PVC canvas material and will offer enough storage place for everything you can consider bringing in on a fishing trip. The shoulder strap is fully adjustable and made from a soft and plush fabric for extra comfort. 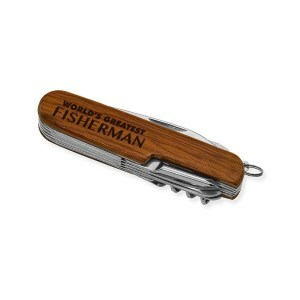 This is by far one of the most useful items you can take with you wherever you go, not only on a fishing trip. Its versatile design allows you to easily carry it around in all your outdoor activities, including biking, hiking or climbing. Those who are planning on a bigger fishing trip we suggest buying a tackle tek lighted backpack complete with almost everything you need for a day on the lake. This type backpack provides you a full suite of tackles in an organized and safe storage device you can carry around anywhere. The great part is that these backpacks also comes with a LED integrated lighting system to allow you to enjoy night fishing as well.